I’ve been a Cirque du Soleil supporter for decades. 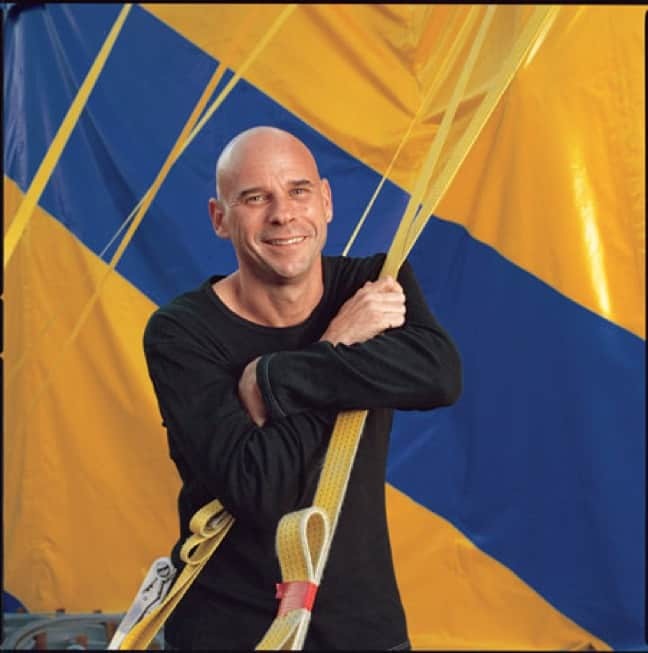 My fandom became even more ardent as founder Guy Laliberté’s interest in nature and conservation influenced the artistic direction of shows such as OVO and Totem. But it wasn’t until we learned about Laliberté’s ONE DROP Foundation that we decided we had to interview him for GGT. 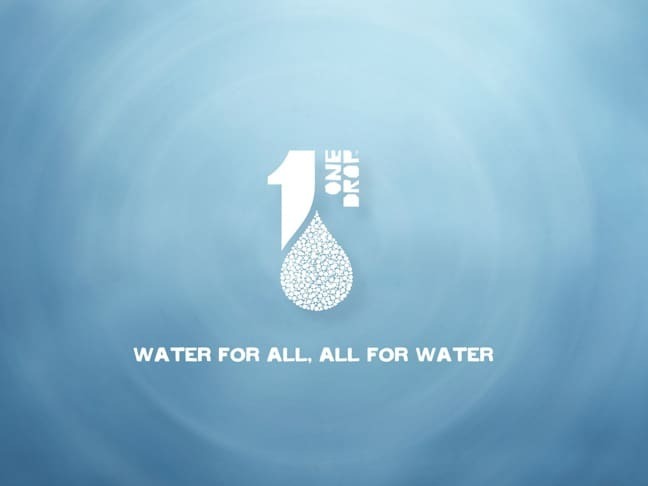 Founded by Laliberté in 2007, the ONE DROP Foundation is a Montreal-based non-profit whose mission is to make safe water universally accessible, today and forever. Their 3-pronged, sustainable approach towards solving the global water crisis includes a technical component, a microfinance component, and a social arts and education component designed to raise collective awareness. 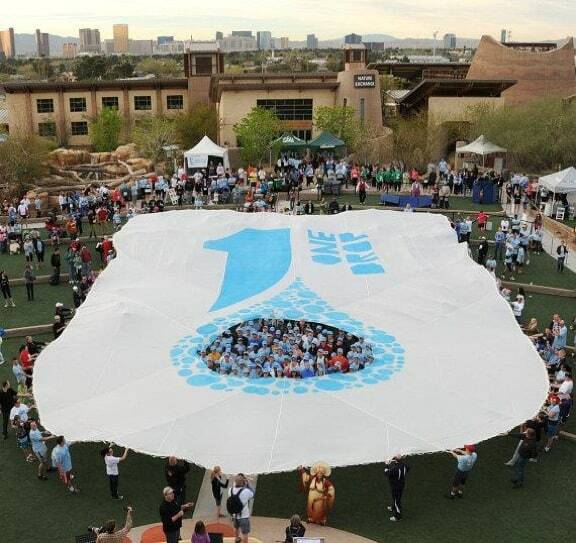 Last month, on World Water Day, seven of Cirque du Soleil’s Las Vegas-based productions came together for an extraordinary fundraiser, One Night for ONE DROP. The event, which was also broadcast online, featured more than 230 performers (including special guests such as singer Jackie Evancho, painter David Garibaldi and Victoria’s Secret model Orluchi Orlandi) and ultimately raised over $5.3 million for the ONE DROP Foundation. 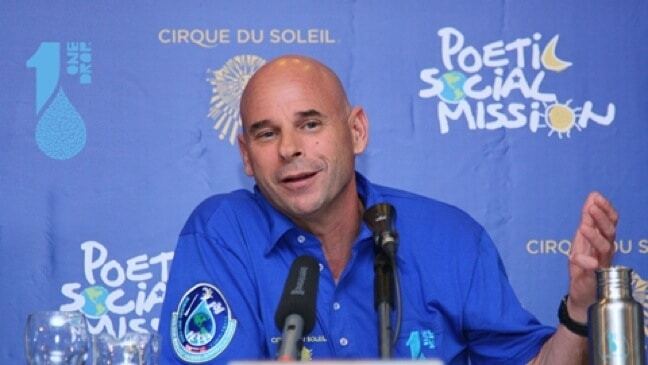 We were delighted to land this exclusive interview with the always-busy Laliberté, talking about the inspiration behind his water charity, its various projects around the world, and the impact he hopes to have on the global water crisis over the next decade. Can you tell me a little about the origins of One Drop? 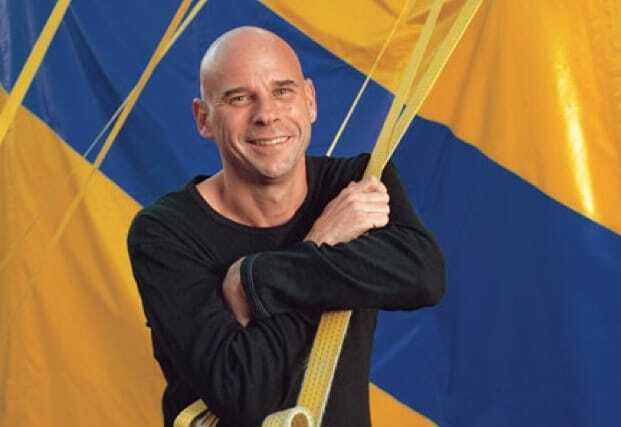 Ever since we created Cirque du Soleil, part of our fundamental values was also “to make a better world.” As soon as Cirque du Soleil started making a bit of money, about 25 years ago, we started giving back. Staying true to our origins, being from the street, we created a social program called Cirque du Monde. This program was designed for at-risk youth, using circus skills in workshops aimed at giving them some sort of self-esteem. Cirque du Monde still runs today, and has done workshops in more than 50 countries. As we approached our 25th anniversary, I started reflecting on how I wanted to approach this important milestone: Either we celebrate our successes, or look forward and imagine how we could make a new difference for the next 25 years. I chose the latter. I wanted to create a new Foundation that could make a difference in many people’s lives. I chose water because, as an artist, it is an important source of inspiration. But I also learned a very significant statistic: One person dies every 20 seconds from not having access to clean water. That is how and why ONE DROP was born. Of all the causes in the world you could’ve dedicated yourself and your company to, why were water preservation and access so important? Water is the 21st century’s greatest challenge. If we don’t address lack of access, pollution and over-consumption NOW, more than 5 billions of us— that’s two-thirds of the planet— will run out of this life-sustaining resource in 10 years. That is why ONE DROP strives to ensure that water is accessible to all, today and forever. Water is also at the source of every major issue facing the world today: education, the situation of women, pollution, health… it is key to our survival as a species. What are some of the more important initiatives the organization has been working on? Since the beginning of ONE DROP, I wanted the team to create programs that would be innovative and sustainable. That is true for our field projects, where we try to mix technical and financial solutions, but we also have social arts activities within the communities, to touch people while delivering an important conservation message. I call it our “soft medicine” approach. When it comes to fundraising, I believe that we have an original approach there as well. I’ve always tried to do things that can have many benefits– a sort of “kill 3 birds with one stone” type of thing. That is why the “Big One for ONE DROP” and “All In For ONE DROP” projects were successful, I believe. It was creating something original and exciting and, at the same time, raising awareness and funds. I believe One Night for ONE DROP will follow suit. Why was Las Vegas the right setting for One Night for ONE DROP? Cirque du Soleil has had a remarkable presence in the Las Vegas community for nearly 20 years, starting in 1992 with a show called Nouvelle Experience in a tent set up behind The Mirage. At the end of 2012, our seventh show, Zarkana, premiered at ARIA Resort & Casino. We have created long-lasting relationships with many organizations in the community. Our 1700 employees (including 500 artists) are part of this Las Vegas community; we start families here, buy houses, go to school, we volunteer and get involved in local organizations. Las Vegas has become our second home. 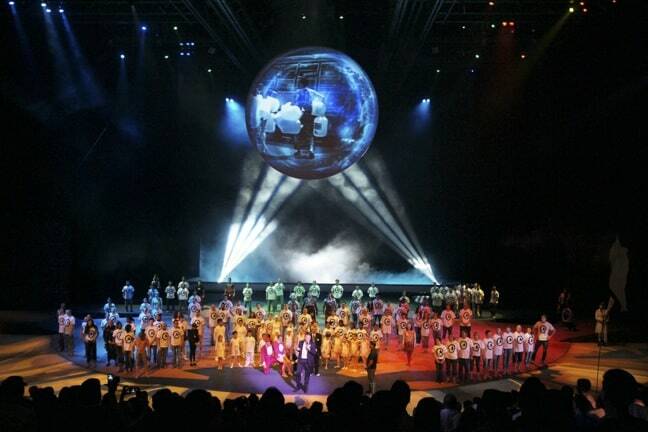 My dream is that every single one of those 1700 Cirque du Soleil employees will help create, perform and participate in this Global Philanthropy Event. What do you hope the organization will accomplish through events such as this? From its beginnings, ONE DROP has directly contributed to improve the lives of 300,000 people forever through its integrated water-access projects. To achieve lasting and significant positive impacts in Nicaragua, Honduras, Haiti, El Salvador, India and Burkina Faso, ONE DROP has designed a unique “tripod approach,” based on three complementary components: a technical component aimed at improving access to water and promoting responsible water management and preservation principles; a microfinance component for granting loans to populations who already have better access to water so they may start productive revenue-generating activities; and a social arts and popular education component designed to raise collective awareness as well as educate and mobilize the population on water-related issues. ONE DROP strives to create sustainable change. Where would you like to see the world’s water situation 10 years from now? And how do you envision us, as a global community, getting there?